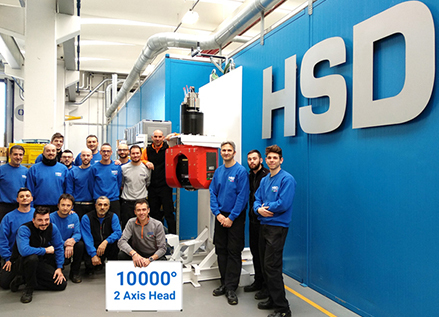 This week HSD Spa reached the production of the 10.000th 2 Axis Head in the Italian Headquarters of Gradara. A highly successful production started in 2000 that continues to develop to meet new technological needs. We thank all People in the Company, in particular the Production Team and the Technical Office, and our Customers who have given us and continue to trust us over the years. HSD 2 Axis Head offer the widest range of Bi-Rotative Heads in the market, with a plenty of technical features applicable to various material process machining, from wood to titanium.